A unique soybean oil-based, non-foaming cleanser that gently removes makeup, dirt and impurities while leaving behind an invisible veil of antioxidants. Dry, aged skin, post peel or surgical procedure. Not suitable for acneic skin. 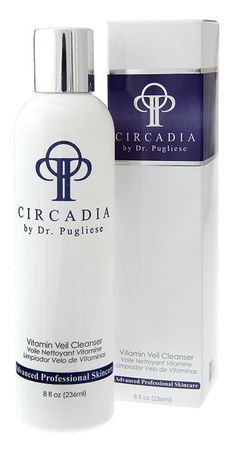 Dispense a dime size amount of cleanser onto fingertips and apply all over face and neck. Remove all traces of makeup with a warm, damp washcloth. Pat dry and apply Vitamin C Reversal Serum.